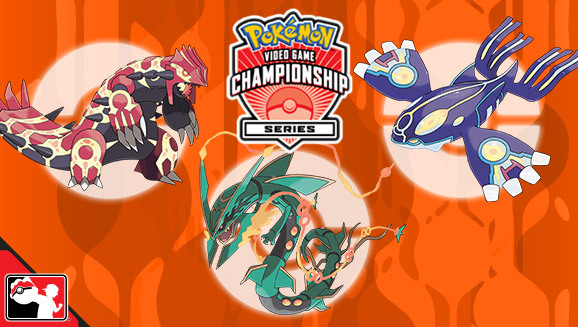 This morning, Pokemon announced the rules for the upcoming VGC 2016 Season. Essentially, it expands on the 2015 format by allowing all Legendary Pokemon (but not Mythical/Event Only Pokemon), in a throwback to VGC 2010. We saw this format early in 2015 with the Generation Showdown tournament, and that is where I'd get my information from for ideas about the early metagame's shape. I also made a team report from the Generation Showdown on Nugget Bridge, which is what forms my limited experience with the format being that I wasn't around for VGC 2010 - a lot has changed in 6 years at any rate. While at first announcement I'm not particularly happy about the format, especially given that it's not practicable on Battle Spot currently, and it has high barriers to entry, it will be fun seeing everyone dropped in the deep end when it comes to teambuilding and archetype creating. While the format will be warped around the high powered legendaries, there's lots of room for invention here I feel. I expect Double Genies won't be going away any time soon, and that we will see a lot of Groudon and Mega Rayquaza, at least initially. Dialga is pretty strong thanks to its typing and stats, but I think it will take some time for it to really take off as initially I feel the lure of Mega Rayquaza and the Primals will be rather large. Unfortunately for Zygarde, I don't think a game where its 100% form will be available will be out while this format is still live. Many other Legends will be squeezed out by the Hoenn trio I think - From Kalos, Xerneas is threatening but needs support thanks to its abysmal coverage, Yveltal is good without being outstanding. I'm not convinced on Mewtwo, but it has amazing stats, same with Ho-oh and Lugia - the latter of which is amazingly bulky, but I'm not sure how useful its support moves are in competition with Cresselia and taking up a Legend slot. Palkia is an unknown quantity for me, but certainly strong and resistant to both Primals. Reshiram and Zekrom are again strong, but I think they're squeezed out a bit for the legend slots, and Kyurem, particularly Black Kyurem, has a place as being able to take on all three from Hoenn, but I'm not sure what that place is exactly at the moment. To repeat my first paragraph, Double Genies are certainly not going anywhere, weather will be dominant, but not with Charizard Y, Abomasnow, Politoed and Tyranitar, and moves like Skill Swap, Worry Seed and Gastro Acid will all have big uses. I also expect to see a bit more use of Shadow Tag around. Kangaskhan is still strong, but also faces a lot of competition power wise now, and there are many more bulky things able to take its attacks too. We'll see a bit more as the metagame develops. Stay tuned as I will try to make cool teams and show them off here if I think they're good.